Home » Forums » Public Access » Chit Chat » The Greatest?? Darn, Ferarri didnt take the victory??? 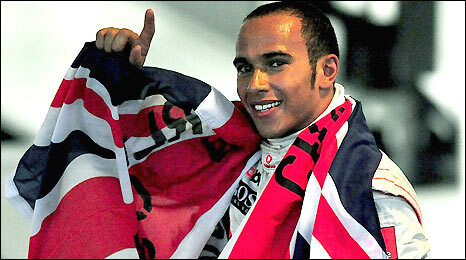 Even though Ferrari is my favourite, I'll have to congradulate Hamilton. Well deserved. Too bad David Coulthard's FINAL Formula 1 race ended after the first turn! He said he was just going to enjoy that final race lol. While Hamilton is the champion, I don't think he is the greatest.... Have we so soon forgotten Michael Shumacher? He won 7 championships didn't he.... Let Lewis win 8 and I will give him the nod for greatest. He deserved it absolutely, but he is far far away from being the greatest. He nearly ruined it this year again and made it just with luck. There is a loooong way ahead for him, but I really like him and wish him all the luck. He looks to be a metrosexual. Like JB said, show us the trophies, then we'll let you be the greatest. He will be the greatest, if he is able to do it again for more than 6 times - remember Schumacher!